By the utter definition of the word I am a planner. Which is why I began planning what I will cook for Thanksgiving dinner today. And, in case you were curious, I live in the States, not Canada. I am hoping to compile a big list of exciting vegan and gluten free Thanksgiving Day food ideas and recipes – mainly because making my first vegan and gluten free Thanksgiving seems terribly overwhelming, so I’m assuming it may be for others too. On the list I’m going to have some of my original recipes along with some links to some other awesome people’s recipes. There are some recipes that I still need to develop, so I’m going to be working on those over the next few weeks in preparation for the ‘Majorly Awesome Vegan/Gluten Free Thanksgiving Recipe Round Up’. 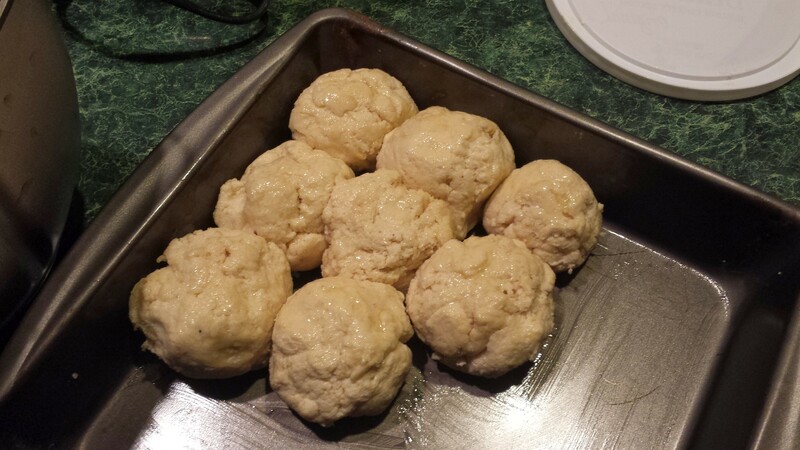 And the first one is…Pull Apart Dinner Rolls. These were essentially a staple at all of my family meals. The kind that came frozen in a tin pan, that were so amazingly soft inside. Full of butter and gluten? Yep. Those. Let’s make them. Looking for other Gluten Free / Vegan bread recipes? Check these out! Combine the dry ingredients in a medium sized mixing bowl. 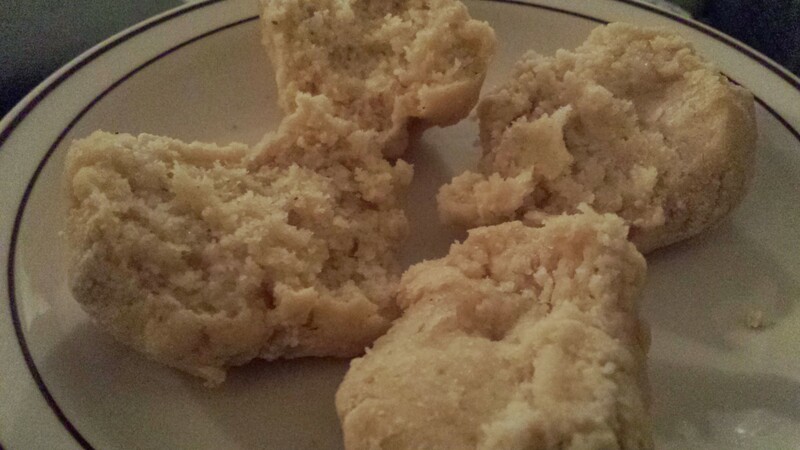 Mix with spoon, smushing any lumps. Add wet ingredients to the bread machine. Add dry mixture on top, making sure to completely cover the wet. Add the yeast on top of the center of the dry ingredients. *Note - you could make dough ahead of time, stopping after step number 6, and either refrigerating or freezing until ready to bake. Dough from the fridge may take a few more minutes to cook. If frozen, thaw completely before cooking, or cover in foil and bake for about 45 minutes to one hour. So what other Thanksgiving Day recipes would you like to see on my roundup? 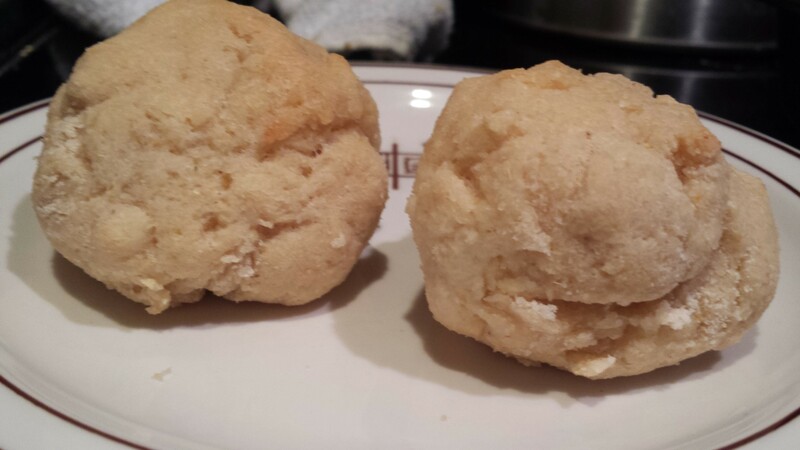 Pingback: Garlic Knots [Or Rolls] [Vegan/Gluten Free] | Make them whole foods. Make them delicious. And make sure you feel great eating them. Pingback: Our Thanksgiving Menu  [Vegan/Gluten Free] | Make them whole foods. Make them delicious. And make sure you feel great eating them.